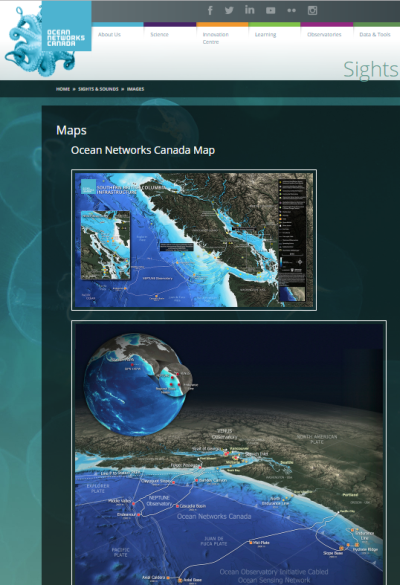 Ocean Networks Canada - a major initiative of the University of Victoria - use iBase digital asset management for assets associated with their world-leading ocean observatories. The Objectives were to create a central location to store, version and protect digital media assets, maintain consistent branding by keeping assets controlled and retrievable, manage distribution of assets to internal and external teams, and to improve efficiency and reduce the time it takes to find assets. Logos and templates (print, email, posters, web templates). Photographs - cruise, conferences, tours, miscellaneous media related pictures. Videos - highlight footage for media, video production video assets, old videos created . Text documents - news stories, newsletters, press documents, magazine articles etc. PDF, XPS and ODF formats. Audio - highlight audio tracks for hydrophones. Web pages - old versions of websites as they change over time. Uses of assets include outreach, media relations, presentations, conferences, scientific database and general sharing. Privacy and copyright and intellectual property requirements. Sharing different outputs of a single source file. e.g. exporting small, med, large versions of master video. iBase also supports Active Directory authentication, which allows users to login using their existing network credentials..